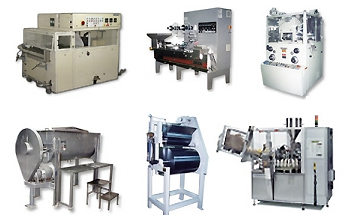 We serve the confectionery, pharmaceutical, cosmetic, food, bakery, chemical, packaging and allied industries. With more than 25,000 machines, we have the world's largest inventory, priced for quick shipment. We want to purchase your surplus equipment regardless of where it's located, whether you have a single machine, complete line or an entire plant.